Story from the BBC news. I quite liked this Banksy piece. 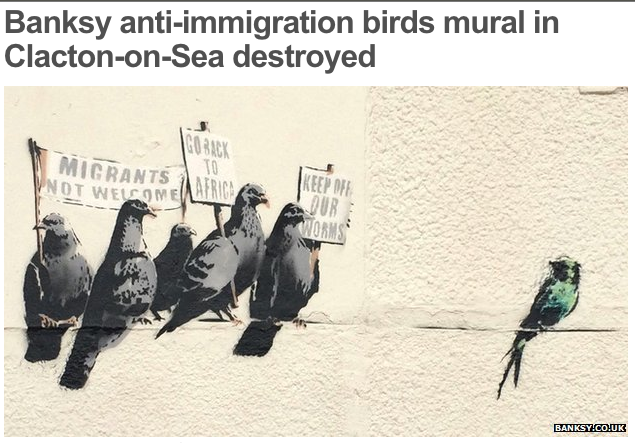 "We would obviously welcome an appropriate Banksy original on any of our seafronts and would be delighted if he returned in the future." prosecuted? A question i will put to Nigel Brown of Tendring council myself.